We've got lots to share this time round. ...we're slicing ourselves in two! With two years behind us, we decided to start our third year by taking a look at the company and how we might improve things to reflect our growth and the changes we have seen in our business. Until recently, the majority of our work had come from the music industry. In 2012, for a variety of reasons, this has started to change and it now only represents around 50% of our business. We're not doing any less work in this field but are doing a lot more corporate work too. In recognition of this change we've decided to split ourselves in two. Simply Marvellous Creative will still exist to service these corporate clients and we're delighted to announce the launch of Simply Marvellous Music to work with musicians, their management, record labels and promotors. This change means we can better target the correct audience with future emails and direct marketing. Behind the scenes it's the same people, quality, creativity and attention to detail that our clients have come to know and love. 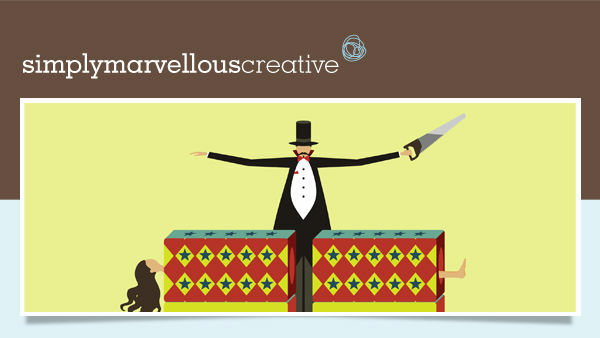 The original Simply Marvellous website has served us well for two years but we thought now was the time for a change. Now we have two shiny new websites. The sites have been designed and built for existing and prospective clients to use with ease based on comments we received on the old site. We've also made them easier for us to update so we can keep you up to date with our latest news as it happens. They are also better integrated with social media and each has it's own blog built in. We have also launched a Facebook page and Twitter account for Simply Marvellous Music. 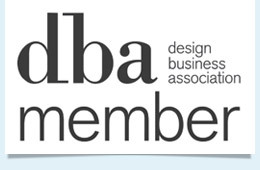 As part of our plans for growth and to show our commitment to the design community, we have joined the Design Business Association. The DBA exists to promote professional excellence and to build productive partnerships between commerce and the design industry. You can read more about the DBA on our website. We booked in 45 jobs in June and our 400th job since we started the business 25 months earlier. We're working on some great projects at the moment including a website for Frances Ruffelle (star of the West End and Broadway) and award-winning folk band Lau. We look forward to sharing these and more with you very soon. Copyright © 2012 Simply Marvellous Creative, All rights reserved.